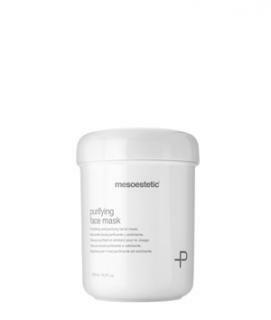 Purifying, descaling face mask for combination, oily, and acne prone skin. It cleanses the skin in depth thanks to its exfoliating properties, removing dead cells and toxins. It stimulates cell renewal and leaves a feeling of skin smoothness and freshness.